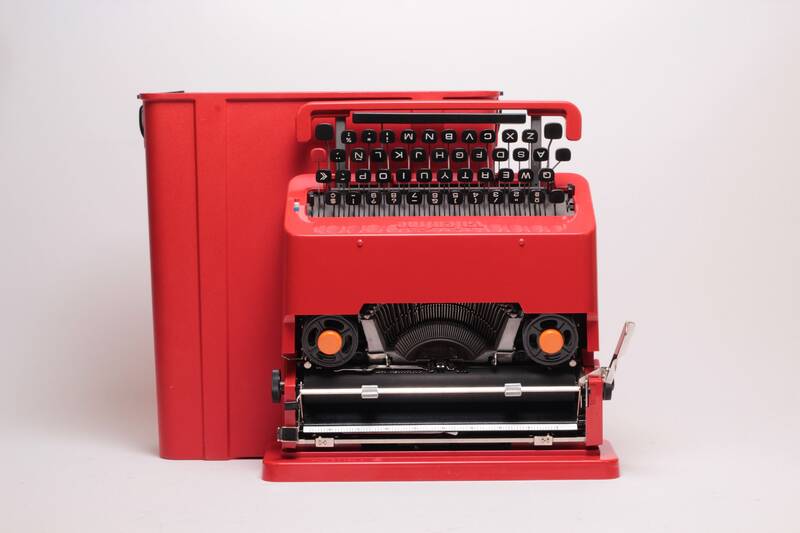 Olivetti launched a fiery red portable typewriter which quickly became so iconic that it was already part of MoMA's permanent collection by 1971. 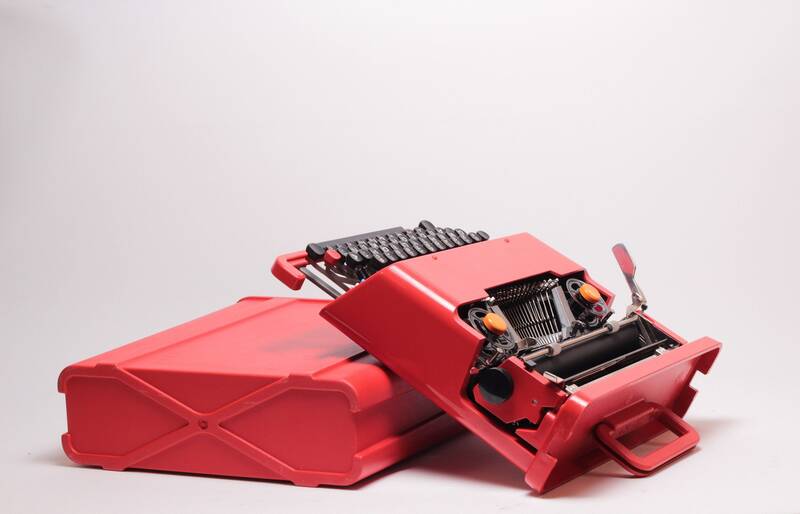 The Olivetti Valentine portable typewriter was designed by industrial designer Perry King in collaboration with Ettore Sottsass and was in released in 1969 along with a groovy advertisement campaign. 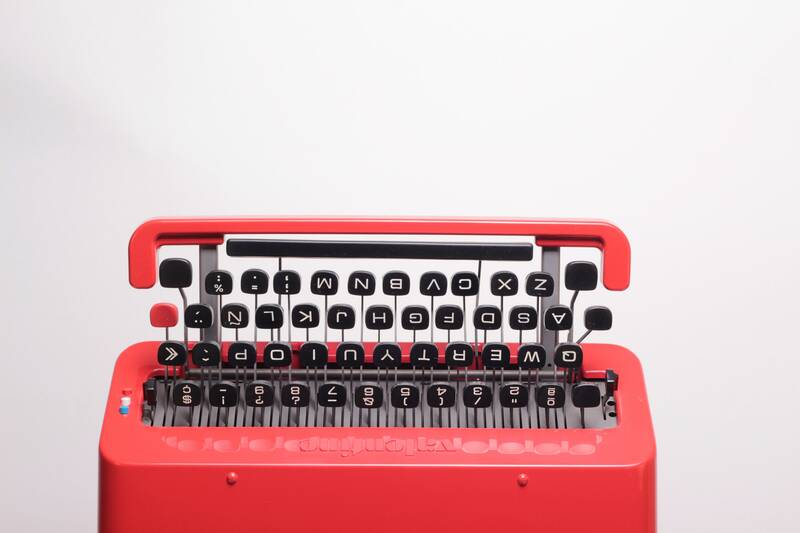 The designers wanted the Valentine Typewriter to be an "anti-machine machine," for use "anyplace but an office. 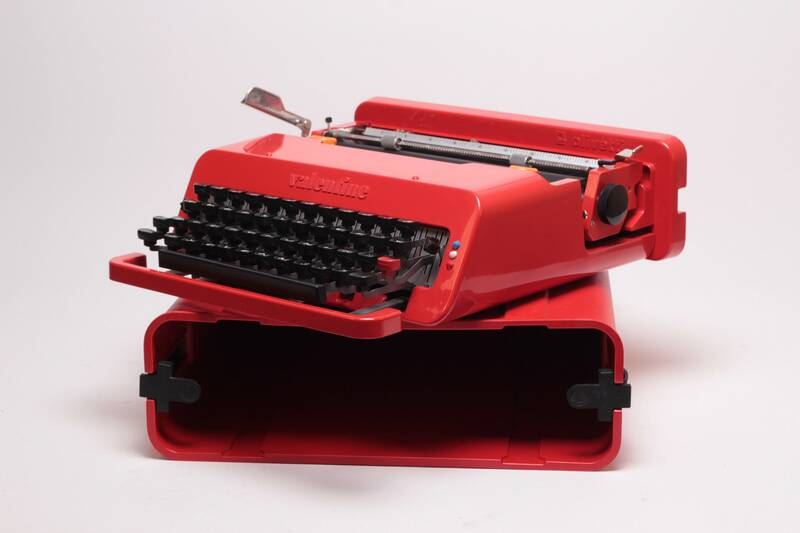 Olivetti produced the Valentine in two colors: red and the rarely seen white edition. 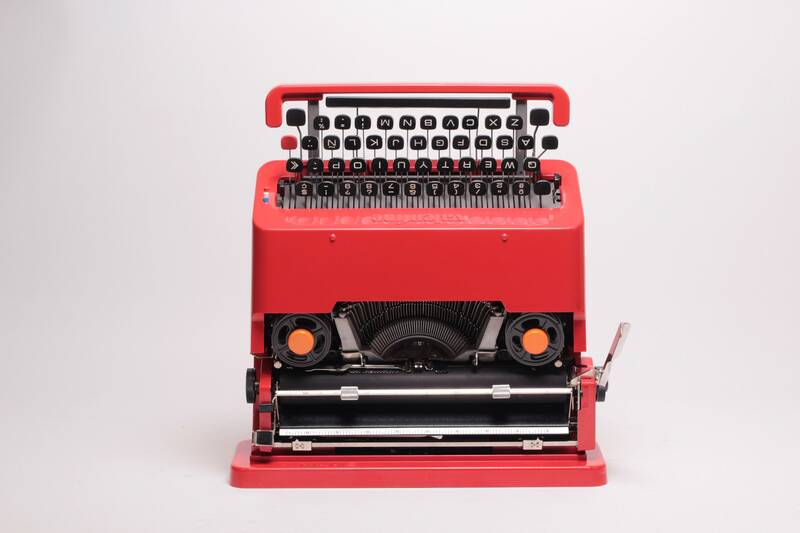 As a typewriter the Valentine was not an outstanding commercial success for Olivetti, however its radical design was recognized as revolutionary. 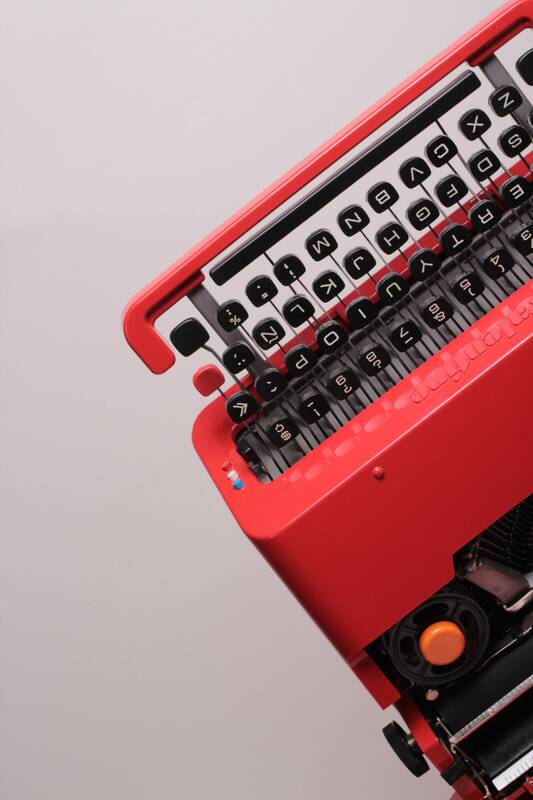 the Valentine expresses the mood of its time: goodbye to the bulky cast-iron housings of old typewriters, hello to the new mobility of a light, modern, plastic casing made from ABS. 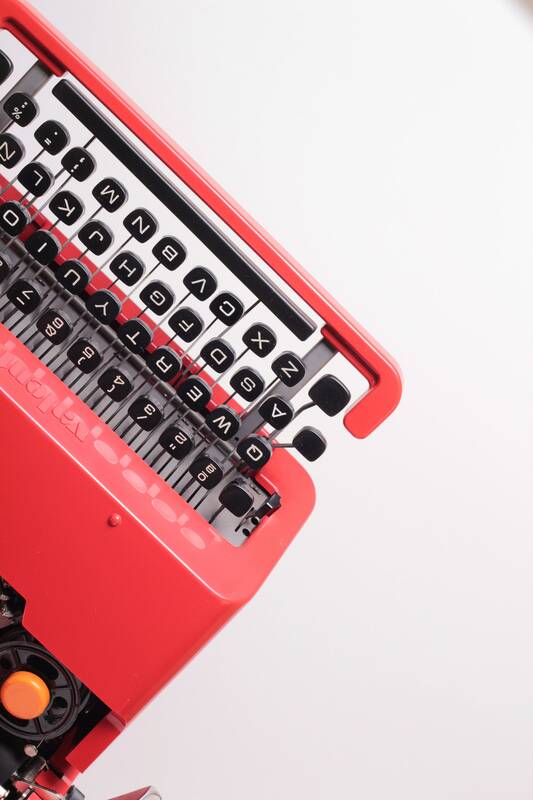 When the outer case is closed, the Valentine is totally covered by a simple plastic shell. The Valentine is revered as a 20th century design icon and has been collected and displayed by design museums internationally.